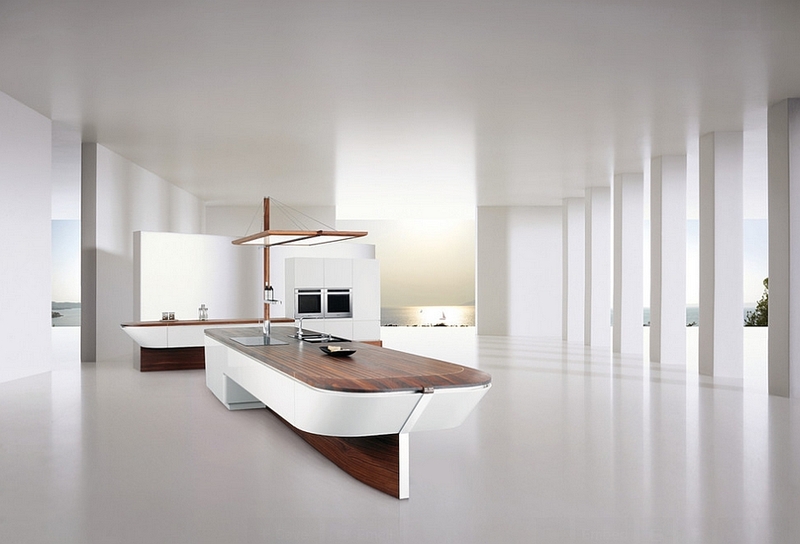 We start off with a limited edition kitchen island from Dutch designer Robert Kolenik that is sure to make some waves in any kitchen it adorns. 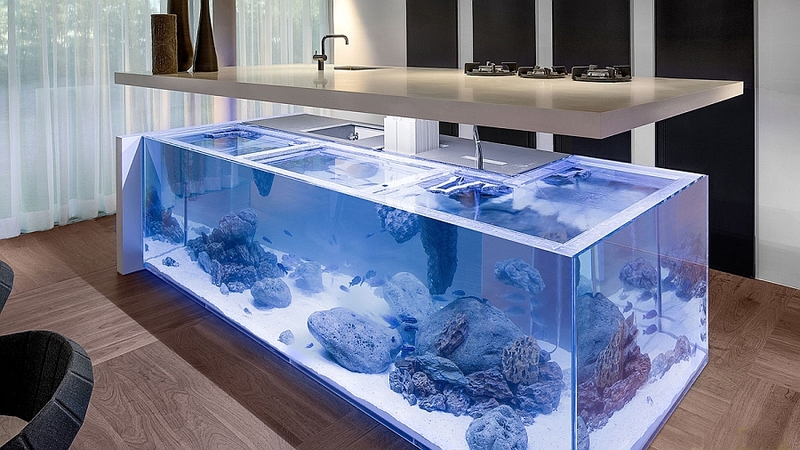 The spectacular island of the Ocean Kitchen combines the aquarium with the kitchen island in a grand fashion. 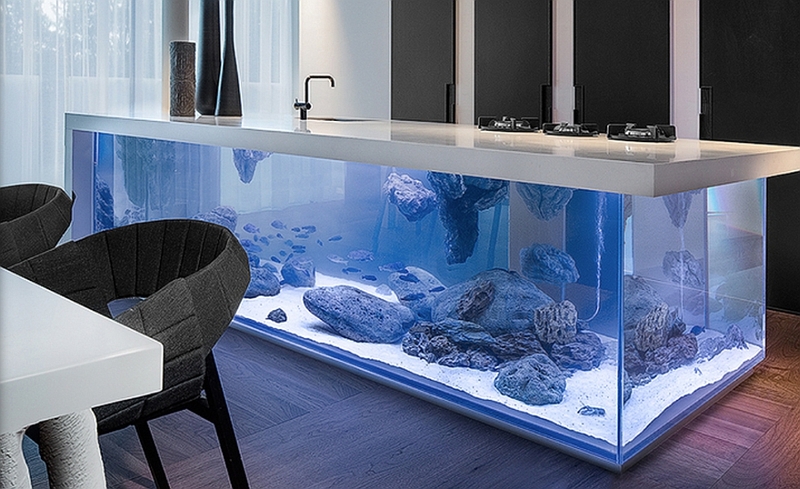 Complete with LED lighting, hidden shelves and a mechanical lift that elevates the countertop on the push of a button, this amazing island has it all. 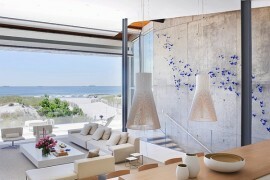 If you miss hanging out on the beach a bit too much this winter, maybe the Ocean Kitchen will drive away your blues! 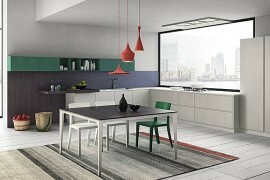 Cars, design and cooking; Snaidero has found a captivating way to combine all the there with their dazzling OLA 25 Limited Edition kitchen. 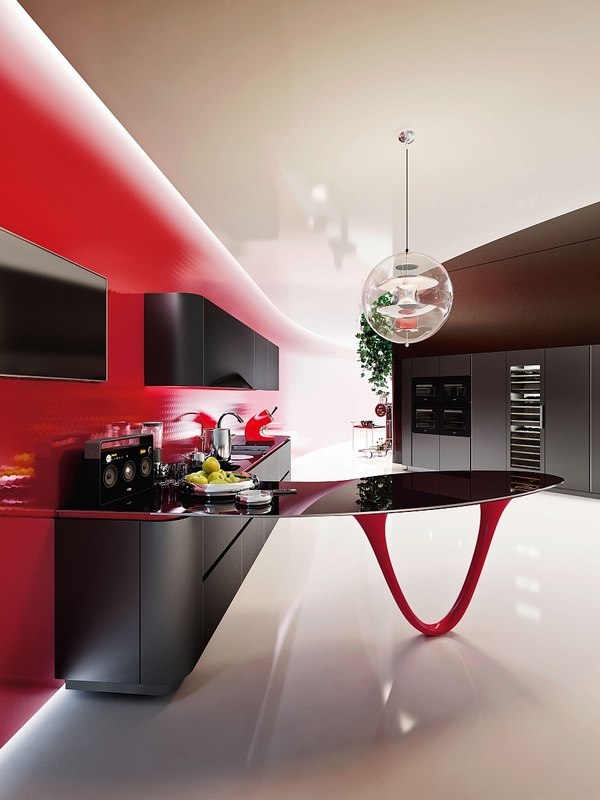 Crafted to mark the 25 years of partnership between the Snaidero and Pininfarina, the kitchen has an island that is elegant, functional and truly one-of-a-kind when it comes to its finish. Available in white, scarlet red and black, we simply cannot take our eyes off of this beauty. We love nautical decor as much as anyone else, but this minimalist kitchen puts a completely different spin on the classic style with its mesmerizing island. 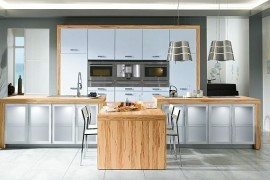 Crafted to mimic a sailboat, it is as functional as any other kitchen island around and with a kitchen counter in the backdrop that matches its unique style, you have a kitchen that is shaped to turn heads and bowl people over. 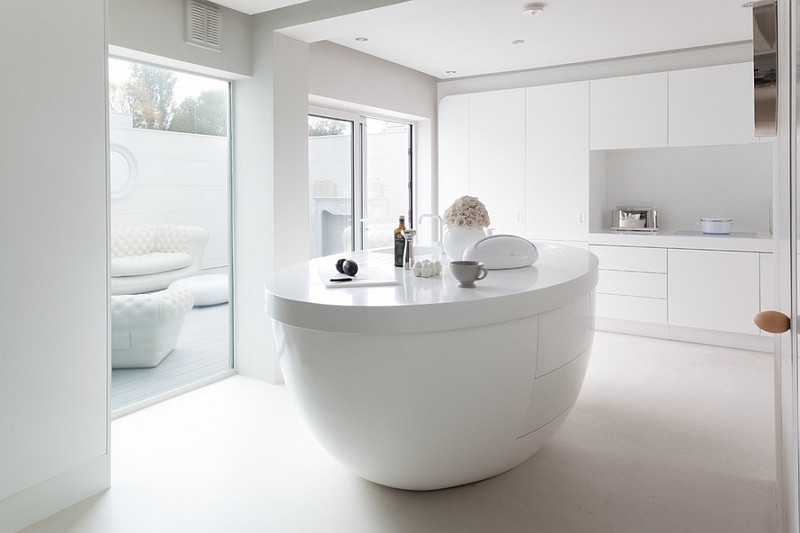 One first look, we did not even suspect that this all-white oval shaped structure was a kitchen island. It almost seems like it fell off of the Starship Enterprise thanks to its space-age design. 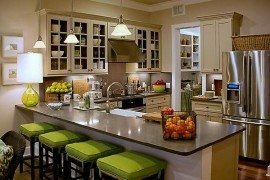 Another obvious advantage is the amount of space that the silhouette of the island saves, leaving you with more work room in the kitchen. 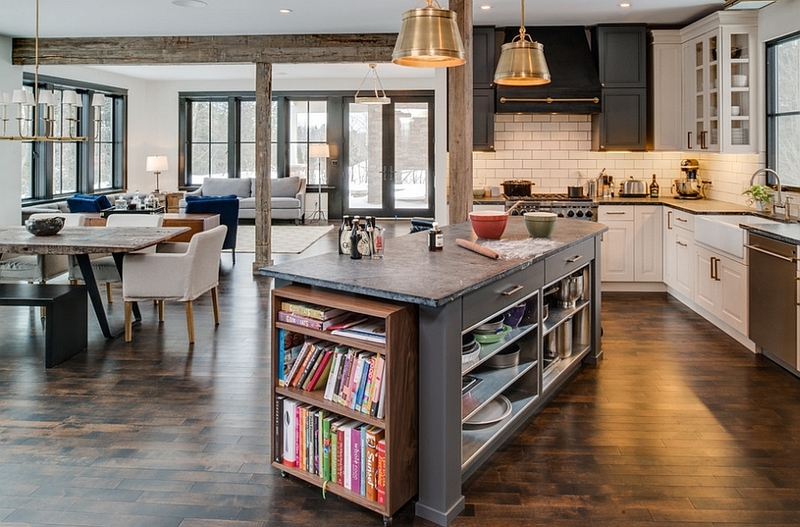 Complete with shelves and cabinets, this uber-cool island is not just about aesthetics alone. A natural oak tree trunk in the kitchen does make a pretty spectacular visual. 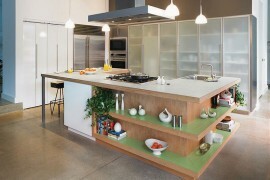 And designer Willi Bruckbauer improvised on this idea by adding a concrete slab to shape a captivating kitchen island. The flatted tree trunk top can also be used as a prep zone while the blend of textures adds to the overall appeal of the creation. 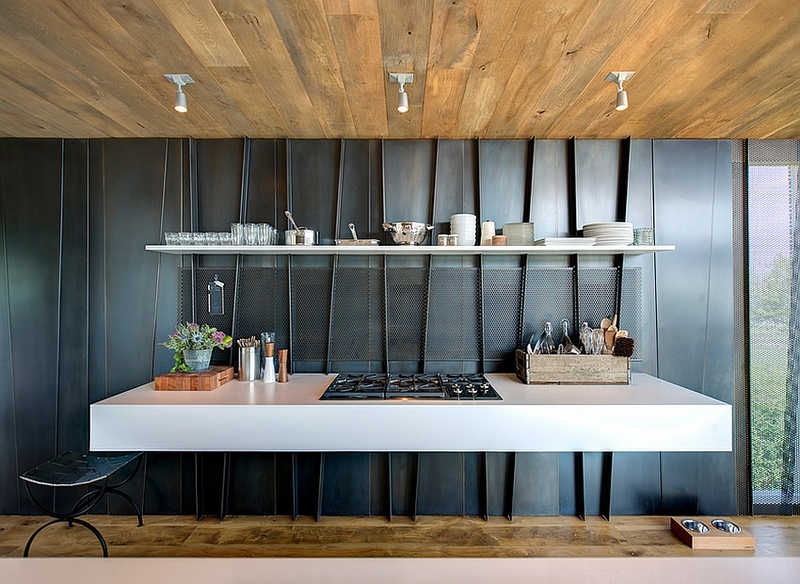 Complete with sink and twin cooktops, this kitchen island doubles as a dramatic sculptural addition. 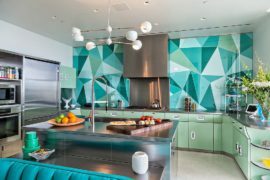 You need not always opt for an over-the-top kitchen island to make a huge impact. 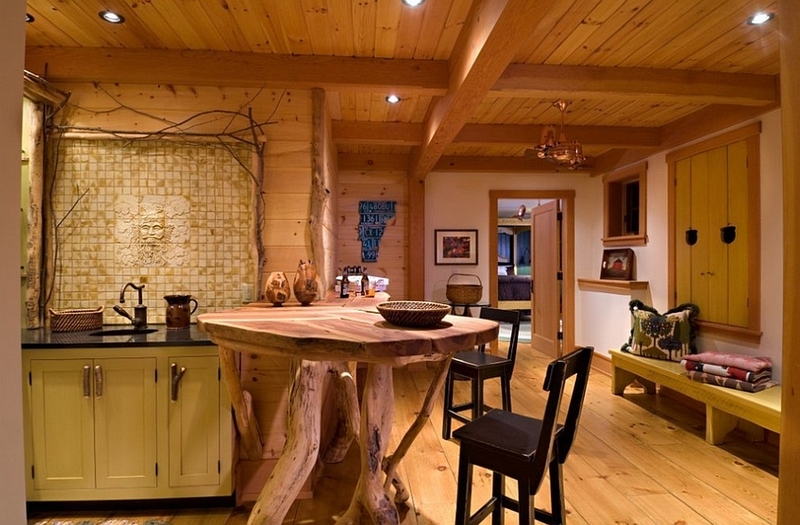 Crafted from natural tree trunks and branches, this small, custom-crafted kitchen island holds its own and becomes an instant focal point in the room. A perfect choice for those who prefer sustainable lifestyle and nature-centric design, the island would lead the way towards greener and healthier cooking habits. We love this kitchen island for its simplicity, practicality and the fact that most of us can afford to create something similar in our own homes. The walnut bookshelf on wheels is the real showstopper here and the island was designed as a prep zone for homeowners who fancy themselves as serious cooks. 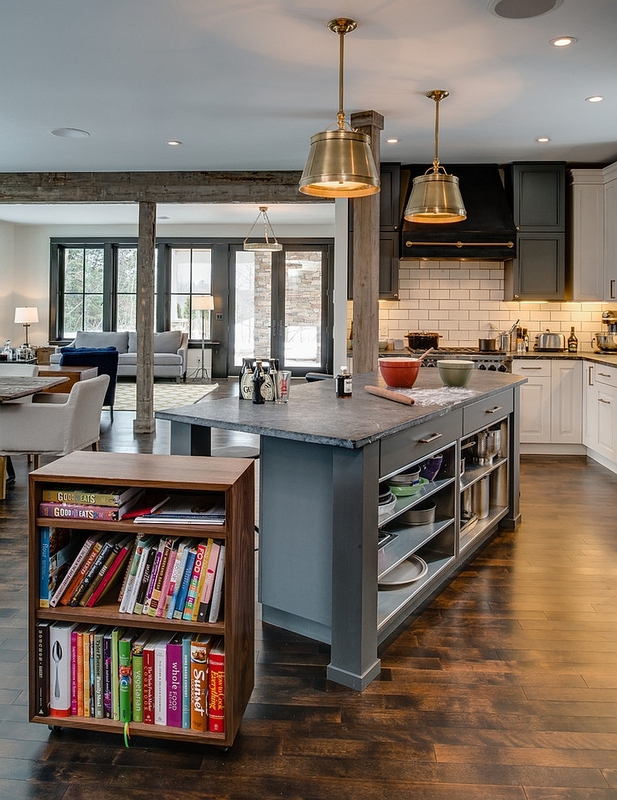 Smart shelves along with lovely pendant lights add to the appeal of the island. 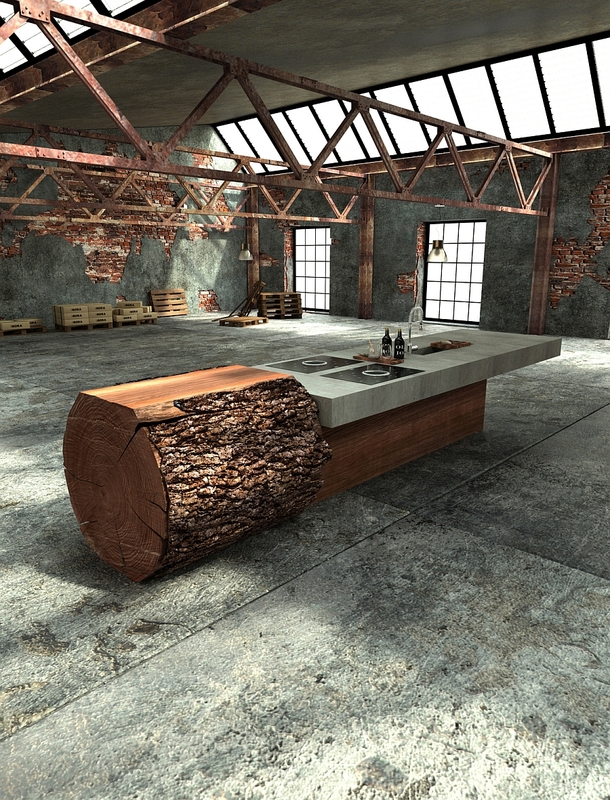 Rustic backdrop and minimalist brilliance come together to shape this kitchen countertop that seems to be floating magically mid-air! 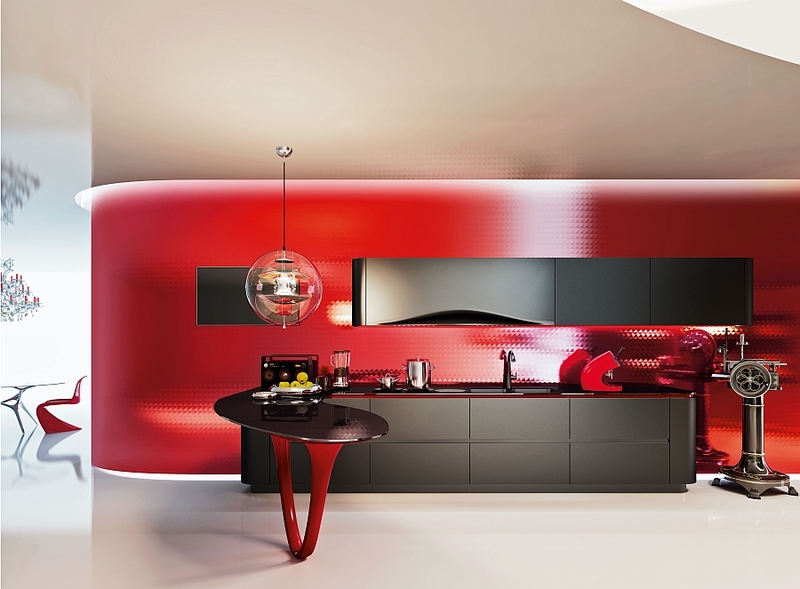 The use of a dark backdrop ensures that the counter stands out beautifully and the suspended effect is enhanced. Considering how we are all fascinated by anything that seems to defy gravity, this is bound to become a conversation starter every time you have guests over. 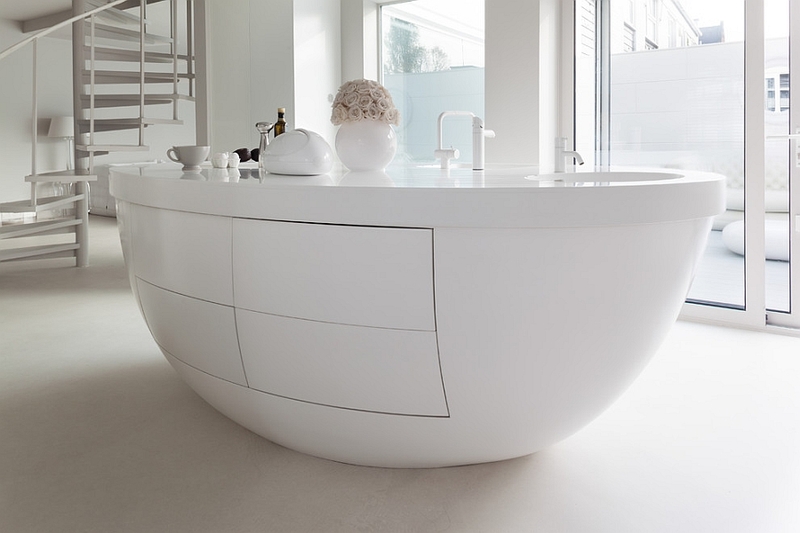 So, how is that remarkable countertop floating in mid-air? For those who might have missed it, a mirror-finish beam supports it at one of the ends making sure that it is a lot less precarious than it seems. 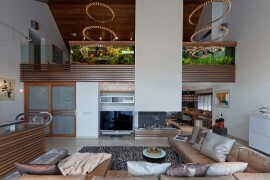 But that does not take away from the visual grandeur of this island and countertop one bit. 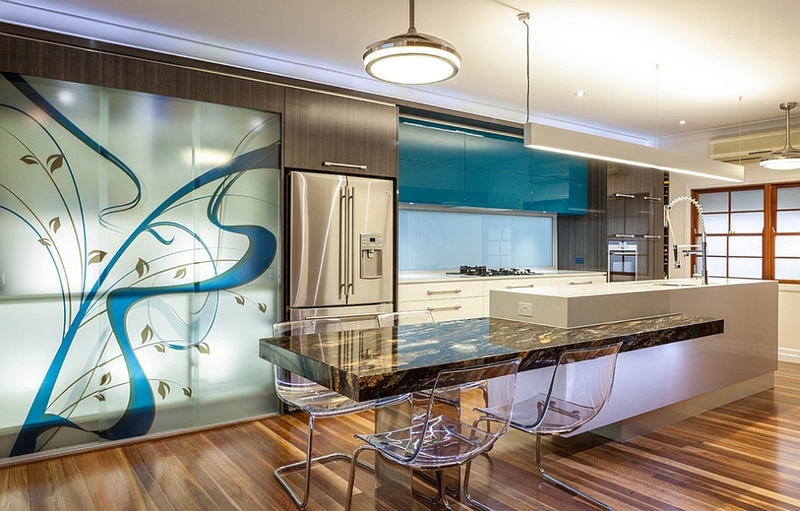 The presence of acrylic chairs gives the space an even more airy look. We know what you are thinking, but there is no hidden post or mirrored-pillar on this one. 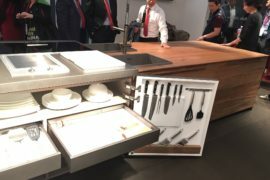 The architect did not pull any visual tricks here and instead relied on steel beams placed inside the counter to keep its structurally integrity intact. 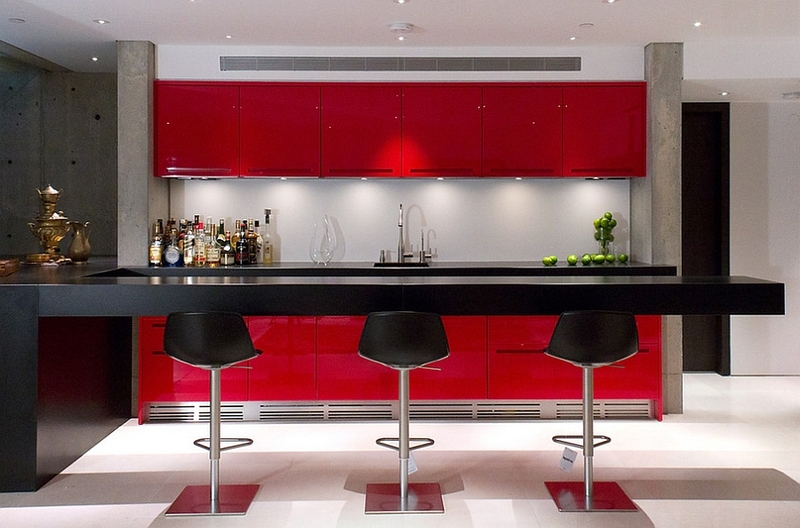 The long, floating design of the counter transforms the entire ambiance of the chic home bar.